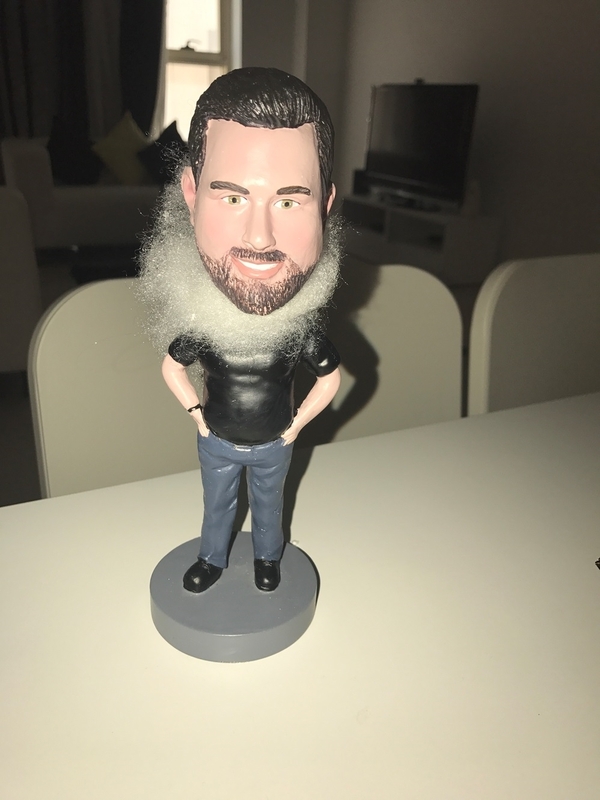 The bobblehead came out great! So happy with it, and it was done faster then expected. I would definitely get another. 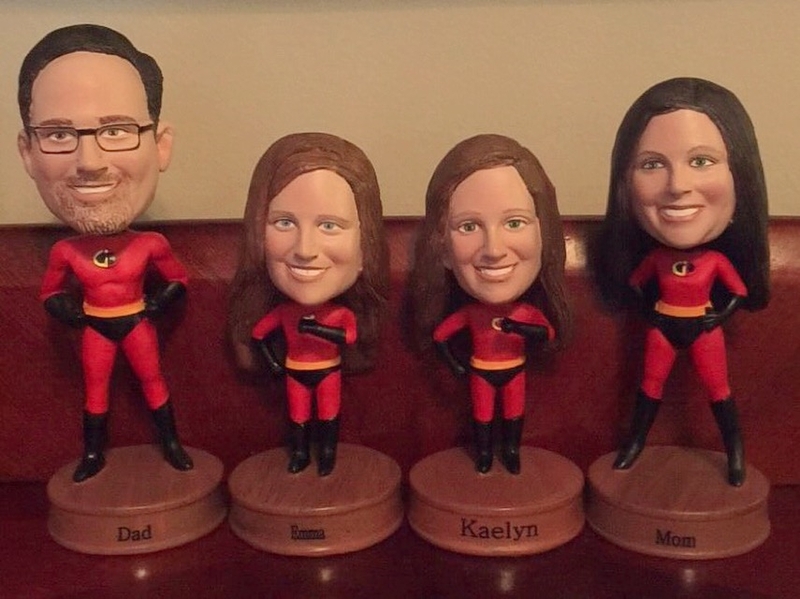 I had ordered the bobble head for my parents as their anniversary gift. 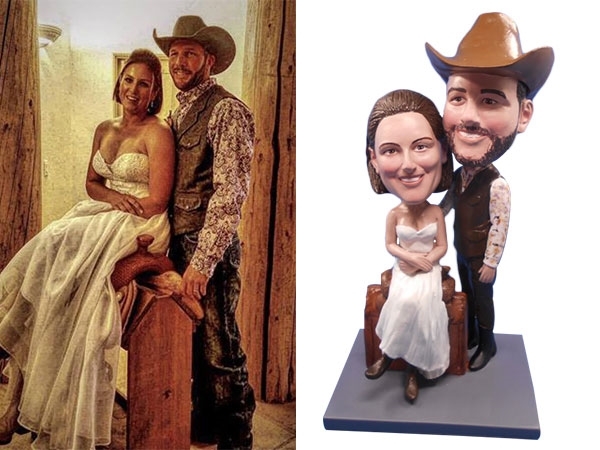 The dolls look great and fun to place it on the cake or shelf. 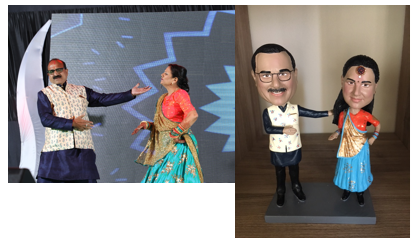 Also the sales team were very helpful in replacing my dolls before their anniversary, when it arrived broken at no cost. Thanks! 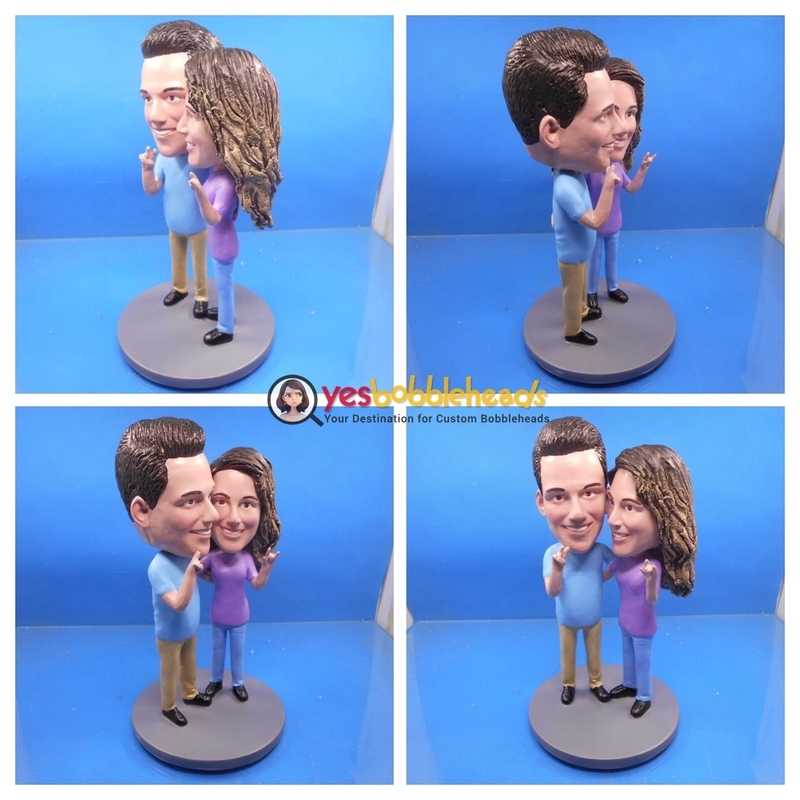 The bobble head is great. 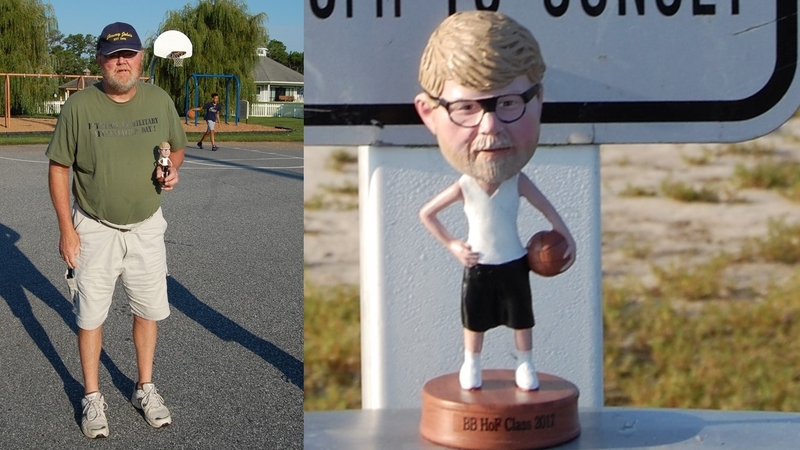 We use it yearly as part of the Bethany Beach Basketball Hall of Fame awards ceremony!!!! 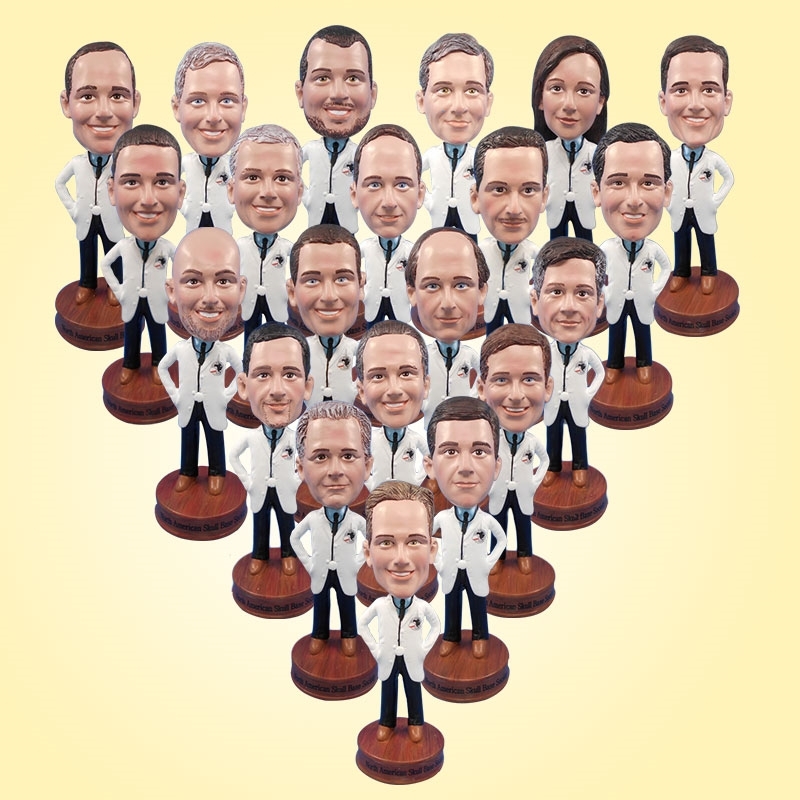 Each inductee is given the bobble head as a way to pay tribute to their success! 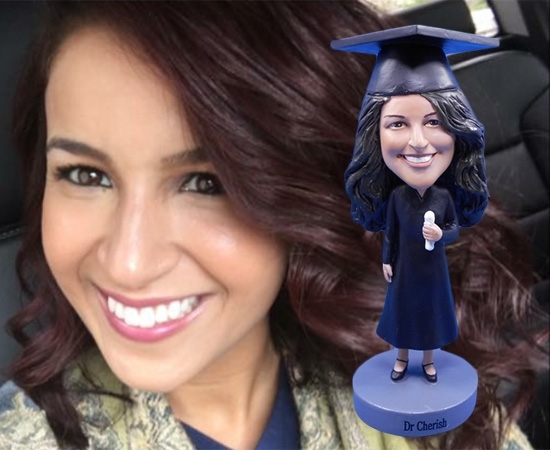 I am really happy with my customized bobblehead! 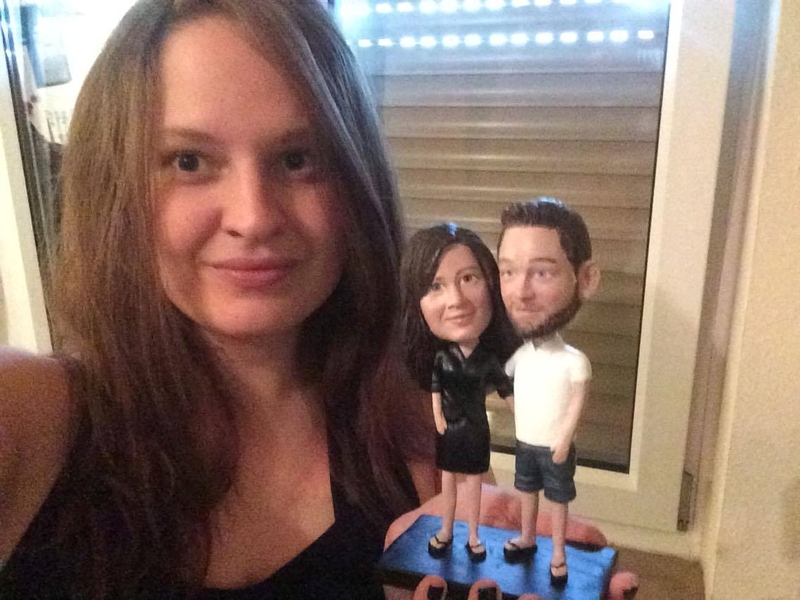 It looks amazing and I can't wait to give it to my boyfriend for his birthday. 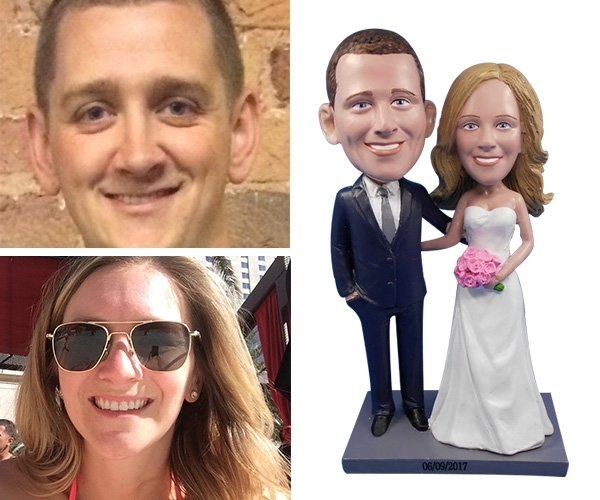 Would recommend the bobbleheads to my friends! 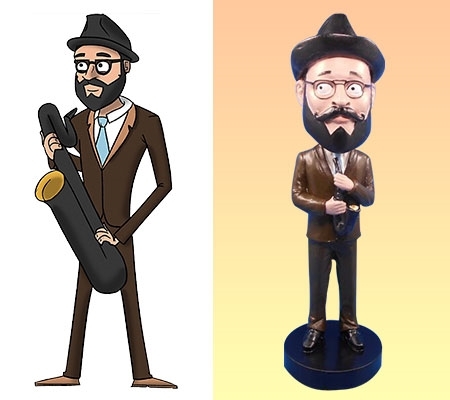 I could not be happier with how this Bobble Head turned out. My boyfriend will be getting this for Christmas and he's going to love it!!!!!! Just wanted to write and say thank you for the awesome job you did! 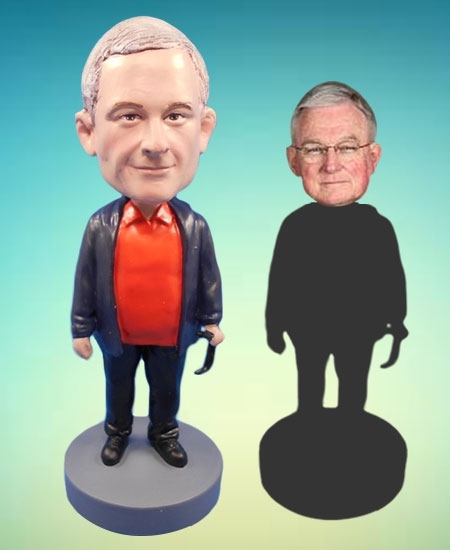 The bobblehead looks great and the turn around time was amazing! 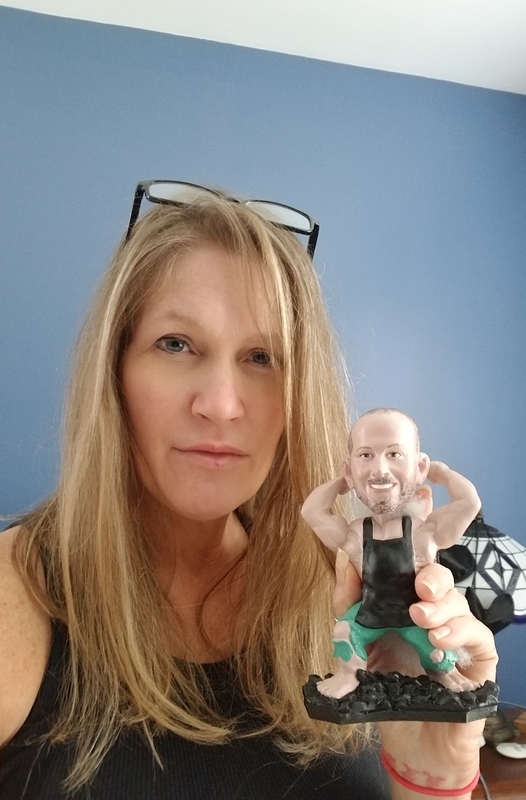 Great resemblance, amazing artwork, thank you so much! 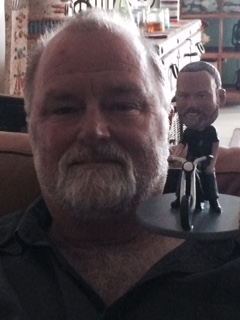 This is John and his bobble head. Thanks again for your great work! 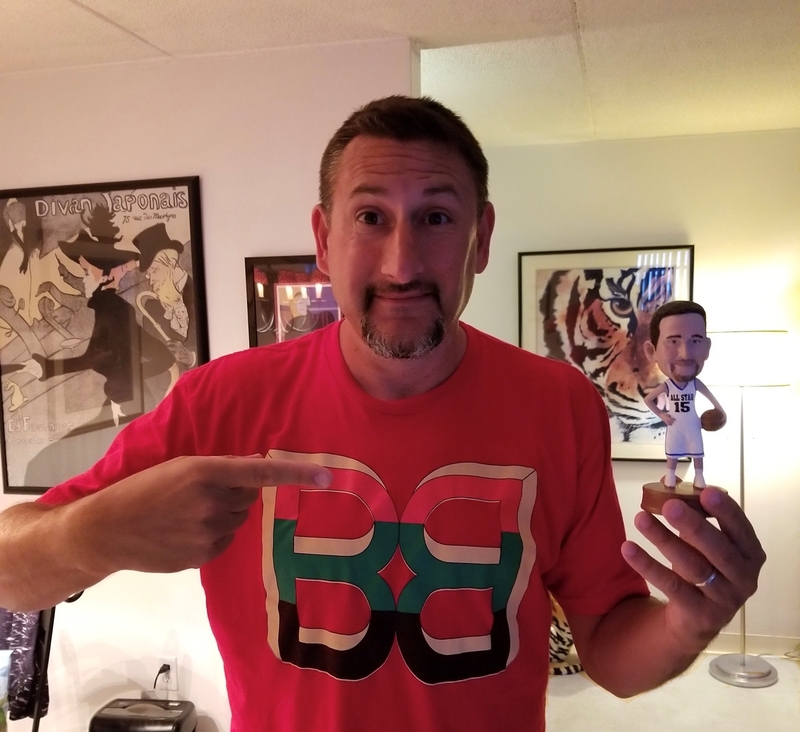 Received the bobblehead today - it is fantastic thank you! My brother will be thrilled to receive it. I received it last night and GREAT JOB! Very pleased! THANK YOU SO MUCH!! Have a great day!! It's an intersting gift that I ever have. Thanks!!! Thank you, so much, for this order. The individual who received this last week was overwhelmed and utterly happy. 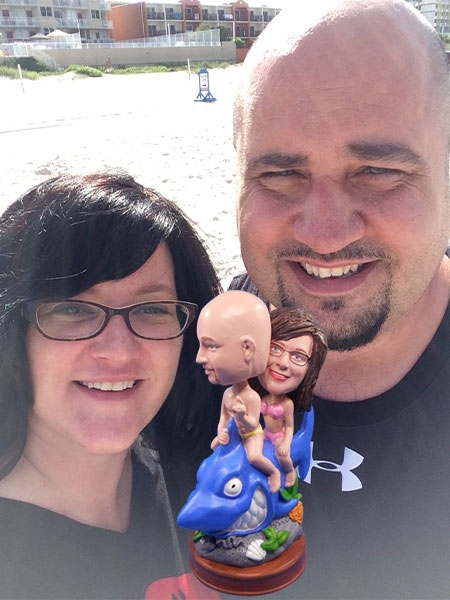 That little bobblehead opened up a staff meeting! Again, thank you, so much. 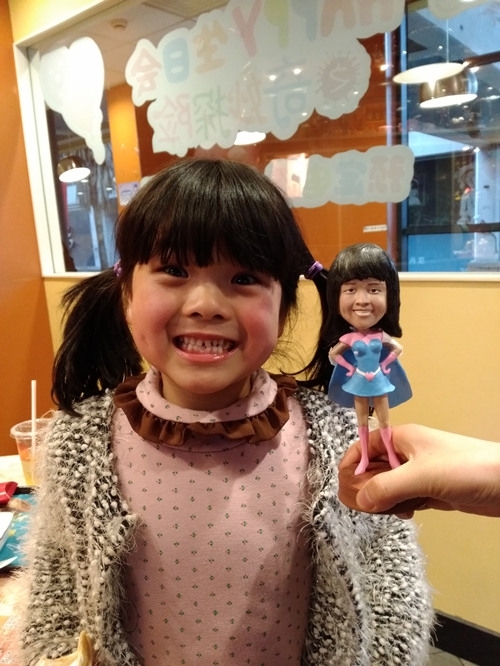 This little doll is so cute and my daughter was so happy when she received it as her birthday gift. I haven't seen her so excited for a long time now. 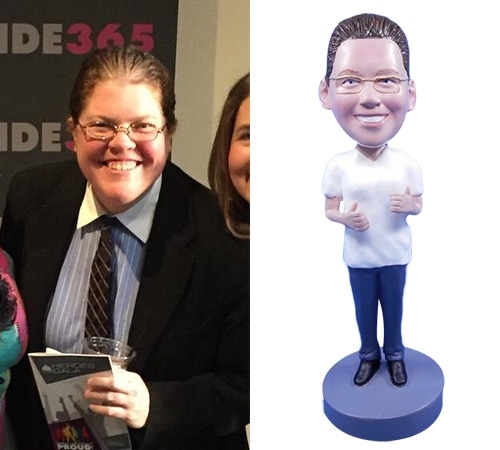 I really appreciate all your efforts in making such a good likeness for my daughter's bobblehead, thanks! 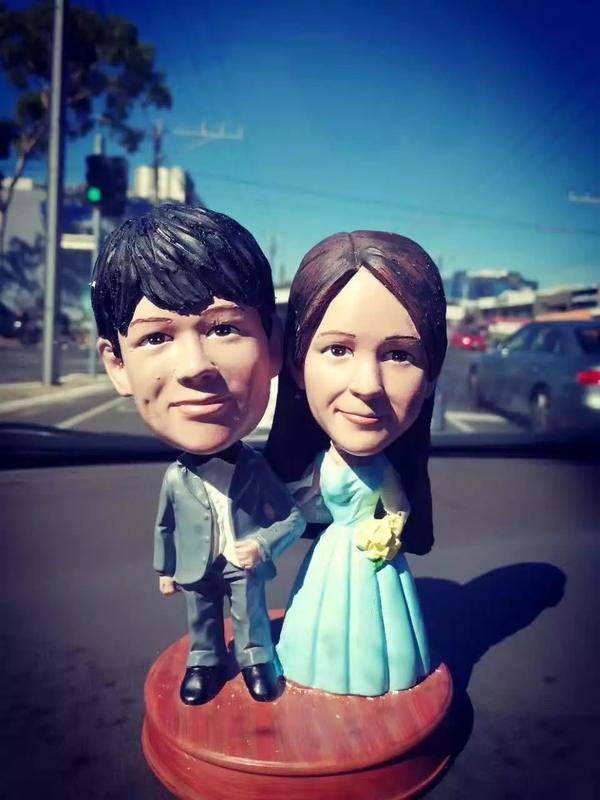 We are very pleased with the outcome of the custom bobbleheads Yes Bobbleheads has made for our North American Skull Base Society meeting event. We will return for sure, and many thanks! 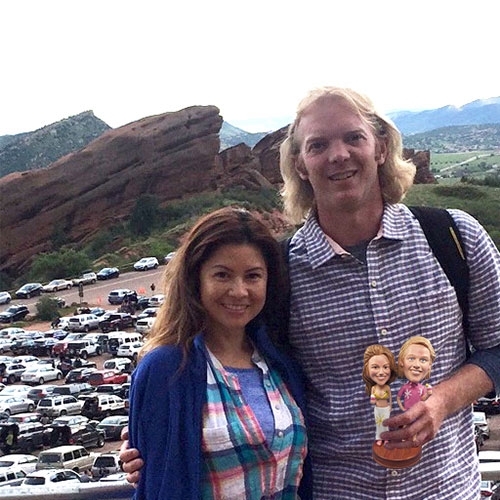 It's so much like both of us and now we're bringing it with us wherever we go. :) Thanks a lot for your great work!